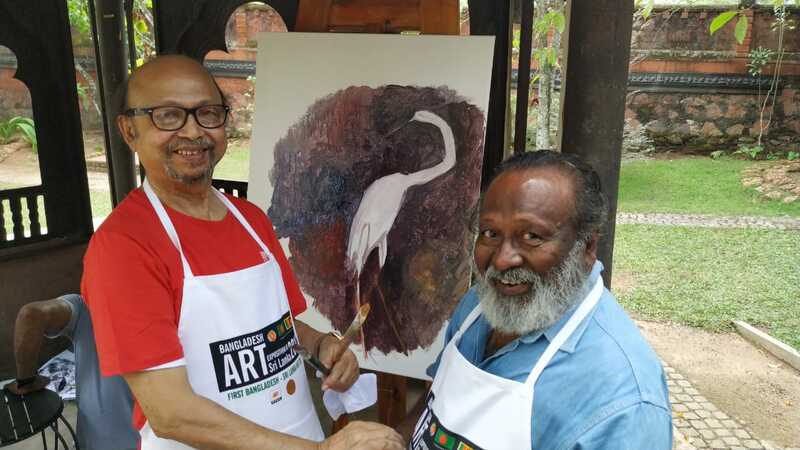 Colombo, March 18 (newsin.asia): The Bangladesh High Commission in Sri Lanka is harnessing art works and artists to add a creative dimension to the relations between Bangladesh and Sri Lanka and enlarge the canvas on which the relationship can find expression. 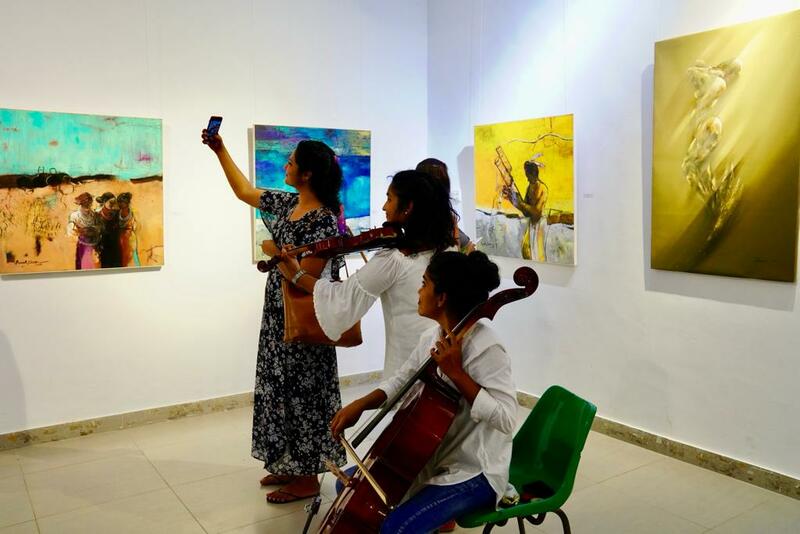 The five-day Bangladesh arts exhibition and the two-day Bangla-Sri Lanka arts camp got off to a pleasant start on Sunday, with a large number of Lankan artistes and art lovers thronging the J.D.A.Perera Gallery here to have a glimpse of the emerging artistic trends in Bangladesh. The events are being organized by the Bangladesh High Commission, the Society for the Promotion of Bangladesh Art, and the George Keyts Foundation of Sri Lanka. Among the Bangladeshi artists featured are Hashem Khan, Shamsuddoha, Kanak Champa, Jahangir Hossain, Maksuda Iqbal Nipa, Priti Ali, Monjur Rashid, and Rafi Haque. Local artists and art lovers evinced keen interest in the exhibits as the Bangladeshi artists amiably explained what they intended to convey through their abstract works. Two young Sri Lankan musicans, a violinist and cellist played popular tunes to keep the guests entertained. On March 18 and 19, the visiting artists from Bangladesh will interact with their Lankan counterparts at the Light of Asia Foundation in the outskirts of Colombo. Set in picturesque surroundings, the Foundation’s premises in Pelawatte, has been a watering hole for artistes of all descriptions. Navin Gunaratne, an art lover, film producer and philanthropist, who had set up the Foundation, does not charge for the use of the premises if the users are artistes. “I keep an open house for all artistes,” Gunaratne said. The Bangladesh High Commissioner, Riaz Hamidullah, said that the idea of holding the artists’ camp was to provide a setting for interactions which might not be formal necessarily. “ It will be alright even if the artistes just chat and make friends,” he said, though as per the program, the artists will show their skills on the spot. Himself an artist who designs the very creative brochures the Bangladesh High Commission is known for, Hamidullah had been working for the twin events for about a year now. “It was a difficult process but it has attained fruition. Therefore there is reason to celebrate,” he said. Lanka, he saw tremendous potential for forging cultural links between Bangladesh and Sri Lanka, even though at that time few in Sri Lanka knew that the culture of Muslim-majority Bangladesh is the culture of Bengal, with which Sri Lanka has had a close link since ancient times. Prince Vijaya, who is believed to be the founder of the Sinhala race, was an immigrant from Bengal. Sinhalese music is slow paced and tuneful rather like Rabindra Sangeet. “ Bengal and Sri Lanka share the same passion for the flute,” Hamidullah observed. And Sinhalese art has drawn heavily from the Jamini Roy school of Bengal, though new styles are being tried out now. 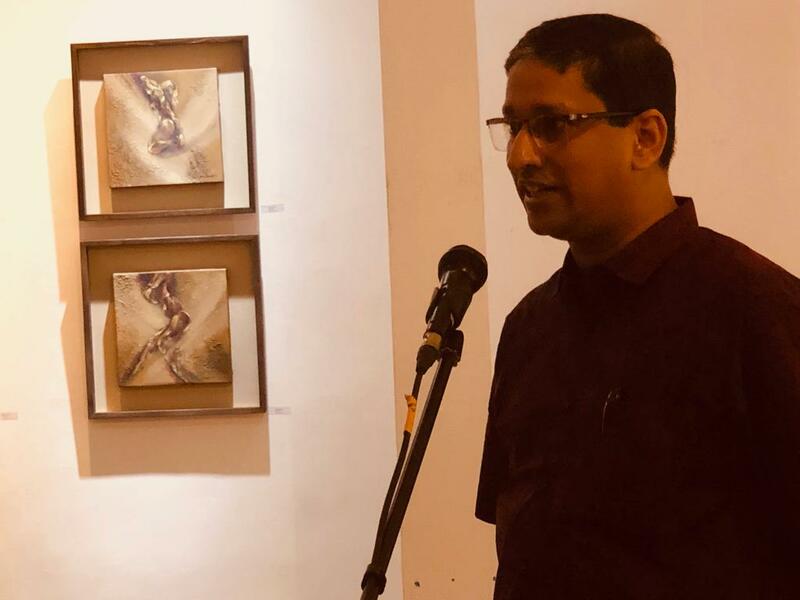 Hamidullah’s enthusiasm for holding the art exhibition and the artistes’ camp was infectious, said Arun Dias Bandaranaike, who represented the collaborating George Keyt Foundation. “The initiative was from his side and we were swept off by him,” Bandaranaike said. A veteran master of ceremonies, Bandaranaike said it was time Sri Lanka had a national level organization like the Society for the Promotion of Bangladesh Art, to give Sri Lankan artists a national platform which will enable them to exhibit as well as market their works. 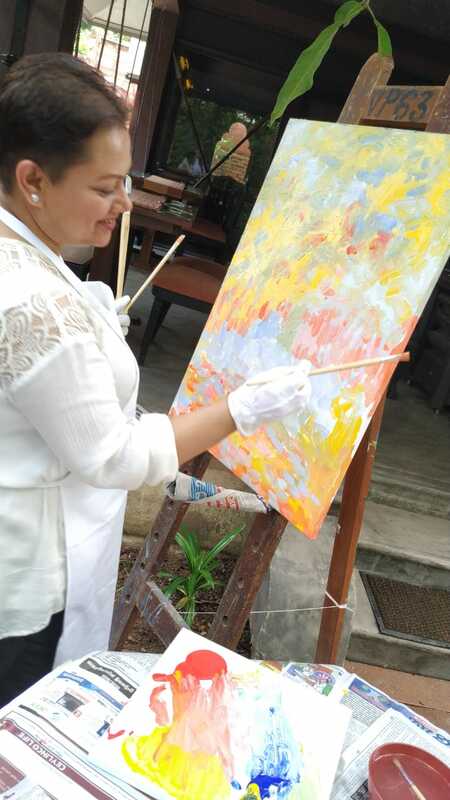 It was heartening to note that artists in both Bangladesh and Sri Lanka said that they are now able to make a living from their artistic pursuits and not to depend on another source income. 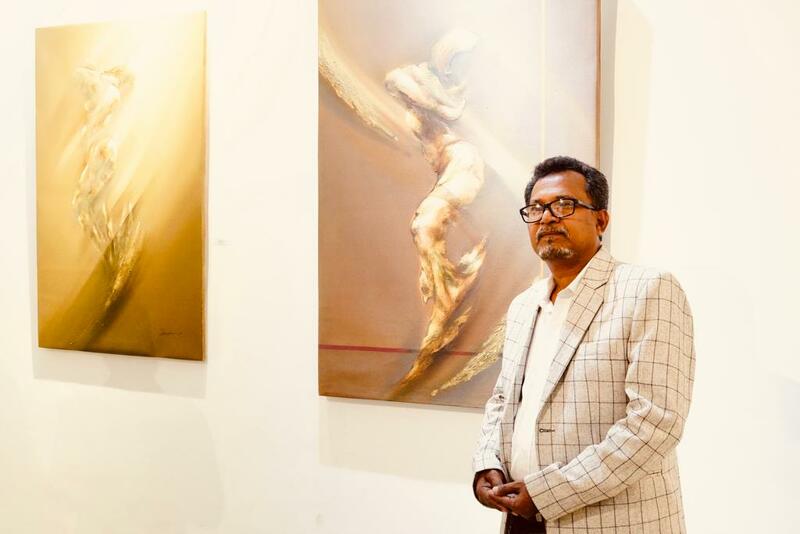 Artist Jahangir Hossain has been a full-time painter since 1982 and has been financially successful. He had exhibited his works in 39 exhibitions in Bangladesh and abroad including Oxford’s High Street. “The market for paintings is good because they have become a must in the interior decoration of posh offices and homes,” said Anjan Chowdhury of the Society for the Promotion of Bangladesh Art. That applies to Sri Lanka artists too, where the local rich and wealthy foreigners are now a lucrative market. The Kalapola or the Art Market on the sidewalks of the Ananda Coomaraswamy Mawatha has been playing a big role in the marketing of artistic works. “Previously Bangladeshi paintings used to be picked up by diplomats for a song and carted away to the West. Now Bangladeshi painters have reached out to Western markets themselves. 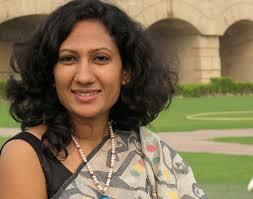 Some of their works go for US$ 5000,” Chowdhury said. At the exhibition, Hashem Khan’s paintings stood out for their formal simplicity though one could not miss the profundity in them. Under the spell of the orchestral compositions of Beethoven and Mozart, Shamsuddoha began to paint pastoral themes. He has a fine sense of light and shade which he had learnt as a student by copying portraits done by masters of yore like John Constable, William Turner and Van Gogh. Kanak Champa, who hails from the Chittagong Hill Tracts, combines representational and non-representational art. Her passion for the feminist and environmentalist movements is evident. Maksuda Iqbal Nipa’s works stood out for their colorful abstractions painted on large canvasses. Sensuousness pervades the works of Priti Ali. There is a spontaneous play of color and a surfeit of mood. Monjur Rashid makes the study of faces his forte as the face is the index of the mind and the mood. Rafi Haque has distinguished himself as a printmaker as well as a painter and has won numerous international awards including the first prize in the 5 th.World Triennele of Print, Chamallieres, in France in 2000. Sri Lankan artists who will be participating in the Art Camp at the Light of Asian Foundation are: the award winning S.H.Sarath; sculptor Dr.Manoranjana Herath; Nayanananda Wijeyakulathilaka, who became an artist while serving a prison term for his Marxist revolutionary activities; Raja Segar, who began as a greeting cards designer but is now experimenting with the refractive effect of light in his abstract and figurative cubism; Channa Ekanayake who studied painting under the Croatian master Dora Tomulic for three years and has exhibited works in Bangladesh and Sri Lanka; and Sudath Aneysekara who had shown his works in Bangladesh, UK, South Korea and China. Other participants are Theja Gunawardhana, Director of the well-known Art Way Institute ,who has exhibited works in Korea and China; Chathuranga Sanjaya Biyagama, who has exhibited his works in Amsterdam and Bangladesh; J.C.Rathnayake, an award winning printmaker and sculptor; Chamika Jayawardena who has participated in 47 group exhibitions including those in Vienna and Pune (India); and Chathurika Jayani who has shown her works in several exhibitions in prestigious venues in Sri Lanka, including the 2019 Galle Literary Festival.